Quinoa contains more protein than any other grain. It can help lower cholesterol levels as it is a great source of fibre and helps to promote cardiovascular health. Quinoa contains a range of important nutrients, such as iron and B vitamins, for red blood cell production and energy; calcium, for strong bones; magnesium, for nervous system health; and vitamin E, a powerful antioxidant. It's also an ideal grain for diabetics as it has a low glycaemic index, which will help keep blood-sugar levels stable and prevent sharp spikes in insulin. You can use quinoa as a substitute for rice. Seaweed is extremely nutritious and contains health-promoting compounds not found in any other plants. Eating seaweed is an excellent way to increase your antioxidant intake and help protect against cancer. It's also a good source of zinc, needed for immune health; B vitamins and iron, to improve energy levels; and iodine, for healthy thyroid function. Seaweed is also a good source of calcium, for strong bones and teeth. There are many different types of seaweed including kelp, nori and arame. It can be added to soups, stir-fries and salads, or used for nori rolls. Chia seeds are the richest plant source of omega-3 essential fatty acids, which our body needs to keep our brain and heart functioning as well as they can. They may be tiny but these healthy seeds are packed with goodness, such as protein and fibre. 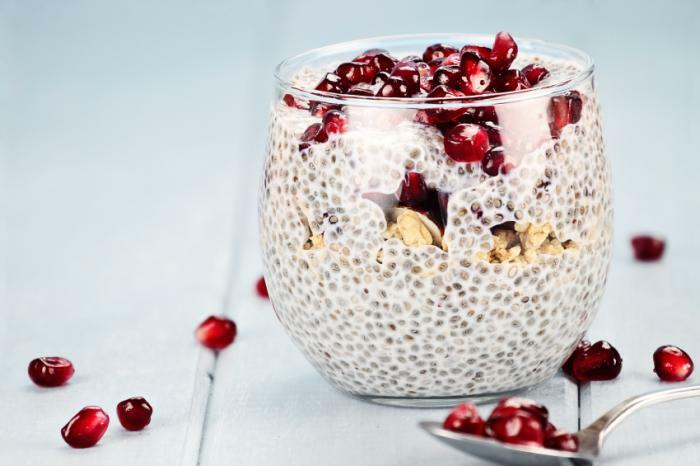 Chia seeds are so easy to add to the diet; just sprinkle over breakfast cereals, salads or vegies, or blend them through smoothies. Eating kale regularly helps support liver detoxification and reduce the risk of cancer, as it contains anti-cancer nutrients in the form of glucosinolates, together with high levels of antioxidants and anti-inflammatory nutrients such as omega-3 fats. Kale is a great source of fibre, helping to keep blood-sugar and cholesterol levels stable. It also boasts high doses of vitamin C and A, both important for boosting immune function. Kale also provides vitamin K, which is good for bones and blood clotting. It can be eaten raw or cooked. Black rice is one of our new superfoods. It contains high levels of health-boosting antioxidants called anthocyanins, which are also found in blueberries. Just one spoonful of black rice bran contains more antioxidants than a spoonful of blueberries. Antioxidants are important for neutralising free radicals in the body that cause damage to cells and cause chronic diseases such as cancer and cardiovascular disease. Black rice is available from health-food stores or websites and can be cooked the same way as other rice varieties. Purple berries, such as acai, elderberry, blackcurrant and chokeberry, are some of the richest sources of antioxidants of all fruits. They are about 50 per cent higher in antioxidants than more common berries. Their dark purple colour indicates high levels of the powerful antioxidants anthocyanins. Including these berries in your diet will help protect you from chronic diseases such as cardiovascular disease and cancer, and help slow down the ageing process. 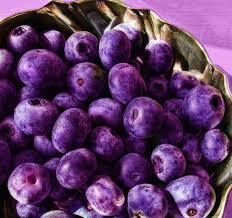 Purple berries are excellent sources of vitamins A and C, which are both important immune-boosting nutrients. White tea comes from the same plant as green tea. However, its leaves are harvested at a younger age. White tea contains higher levels of antioxidants than green as it is less processed. White tea contains antioxidants that have been found to have many health-promoting properties including boosting cardiovascular health, helping to lower cholesterol, reducing the risk of cancer and enhancing weight loss. White tea, which has a smoother, gentler taste to green, also contains less caffeine, so it is a better choice for those who are sensitive to caffeine. Three cups a day is a great way to reap the health benefits of this super tea. Beet greens, the leafy tops of beetroots, are delicious steamed or stir-fried with olive oil, garlic and lemon, or added to soups, risotto, quiches or stir-fries. They are rich in vitamin C; one cup contains 60 per cent of your recommended daily intake. Vitamin C is a potent antioxidant and helps support immune function and wound healing. Beet greens also contain beta-carotene, which converts to vitamin A and aids healthy eyesight and gums. Beet greens are ideal for pre-pregnancy diets, as they are a rich source of folate and iron. Kefir is a fermented milk drink, considered a probiotic food. It contains more than 30 beneficial bacteria. Including kefir in your diet will help promote a healthy balance of intestinal flora, which will improve digestion, boost immune health and help to produce vitamins B12 and K.
Kefir also provides plenty of calcium and magnesium, to look after your nervous system, and vitamin A and D, to support immune function. Kefir is a great source of protein and is rich in the amino acid tryptophan, which is known for its calming effect and sleep support. Kefir is best drunk on its own or added to smoothies. It is available from health-food stores. LSA, made from ground linseeds, sunflower seeds and almonds, is an easy, extremely versatile way to add extra nutrients to meals. LSA is rich in protein, which helps to keep your blood-sugar levels balanced and curb sugar cravings. LSA will provide you with a good dose of healthy omega-3 fats to promote a healthy heart and brain function, and it contains important minerals such as calcium, zinc and magnesium. Try adding a spoonful of LSA to muesli or other breakfast cereals, smoothies, yoghurt, rice dishes or muffin or cookie mixtures.